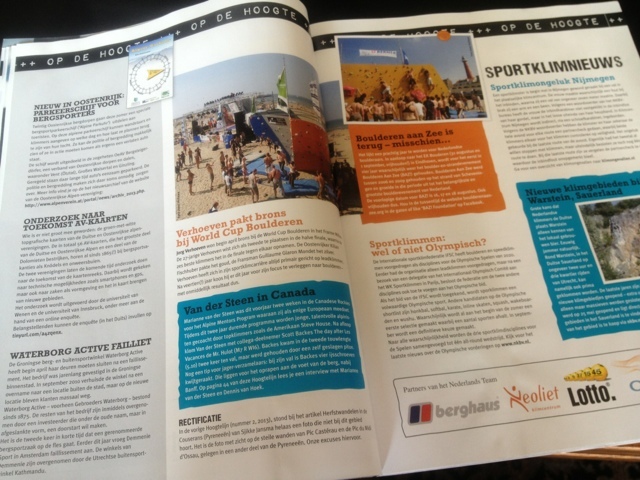 In the Dutch magazine "Hoogtelijn" from our Alpine Club (NKBV) there is a big interview with Dennis and me. 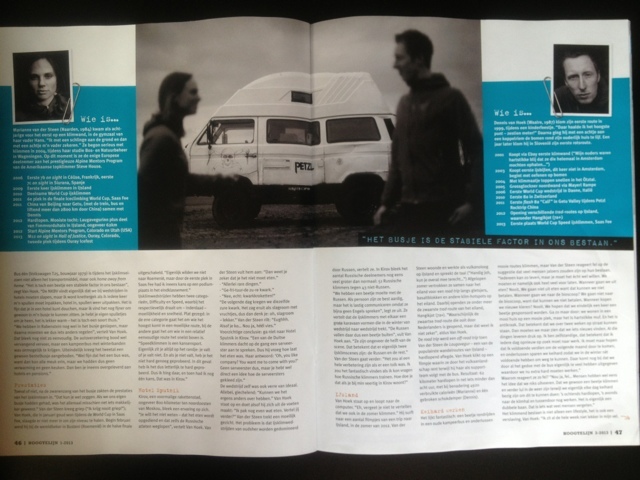 Really proud to have such an interview in a magazine that goes to the more then 55.000 (!) members of the NKBV. Pictures are funny, original and professional. Made by photographer Laurens Aaij. 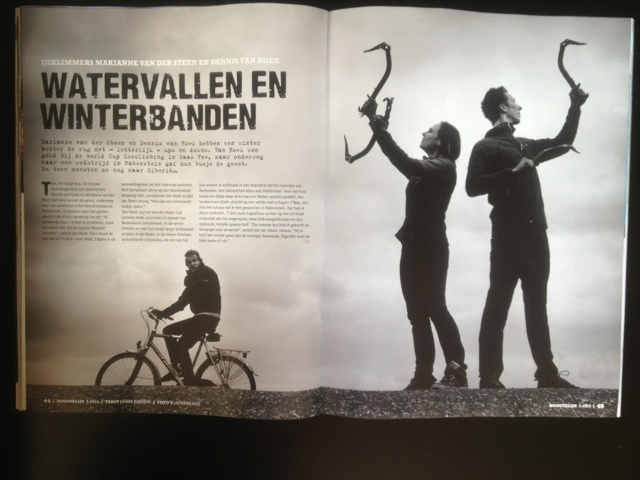 I hope we inspired climbers with our passion! Read it all online here.